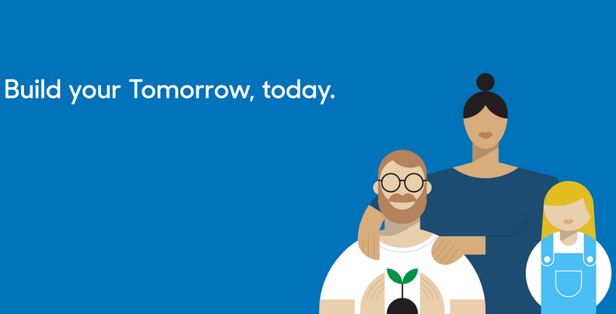 The Tomorrow app is a trust fund you keep in your pocket to protect your family’s financial future. It includes a free will and free trust, and funds that trust with just the right amount of optional life insurance. Over the past five years, Dave Hanley’s world has been turned upside down. In that time, he lost both his parents and his best friend – experiences that opened his eyes, not just to how precious life can be, but also to the importance of being prepared for anything and everything life sends you. A father of four, Hanley has been careful to make sure his legal will is up-to-date and his life insurance is adequate. And he’s become a vigilante in preparing others for the worst – templatizing his will for friends and family so they could use it as a model for their own – and most recently, launching the app Tomorrow, designed to simplify and transform the experience of family financial planning altogether. Hanley wanted to figure out a way to get more people thinking about protecting their families and loved ones. He had come from a career in micro-credit banking, having worked as a Fulbright Scholar in the field, and he had founded an academic journal focused on the topic. He’d also started and sold a social media agency to Deloitte. Now he wanted to figure out a way to get more people planning for the unexpected. There had to be a way to make the process simpler, Hanley thought as he and his team set about designing Tomorrow. Hanley and his team worked on streamlining an otherwise archaic process as much as possible. As simple as Tomorrow’s user interface appears, it has required an incredible amount of legwork and planning to get there. After gathering feedback from potential customers, regulators and lawyers, Tomorrow created a national set of documents that was then carefully reviewed by 65 attorneys across the country. Hanley and his team then got to work developing an experience that was approachable for users, with very visual ways to make decisions. The app helps users set up a will and trust in a matter of minutes. In July 2017, the Tomorrow app officially launched, giving people a way to draw up a legal will, set up a trust and decide on the right amount of life insurance, in a matter of minutes, on their phone, all at no cost. Both the visual and social aspect of the process were crucial to the design of Tomorrow, says Hanley. When putting together their legal will, for example, users can literally walk around their home with a smartphone, taking pictures of items and deciding in that moment who they want those items to go to. They can also watch short videos on the app, explaining the different roles they must designate, including guardian and executor. Once they learn about each one, users are given an opportunity to decide who they want for each responsibility, notifying the person they’ve chosen directly by text through the app to make sure they’re in the know. And while buying life insurance has historically been a complicated and time-consuming undertaking, Hanley knew if he could make the process simpler, and less daunting, more people would take matters into their own hands. While the will and trust features of the app are completely free, Tomorrow, which is a licensed insurance broker, receives a brokerage fee each time a user decides to purchase a life insurance plan. 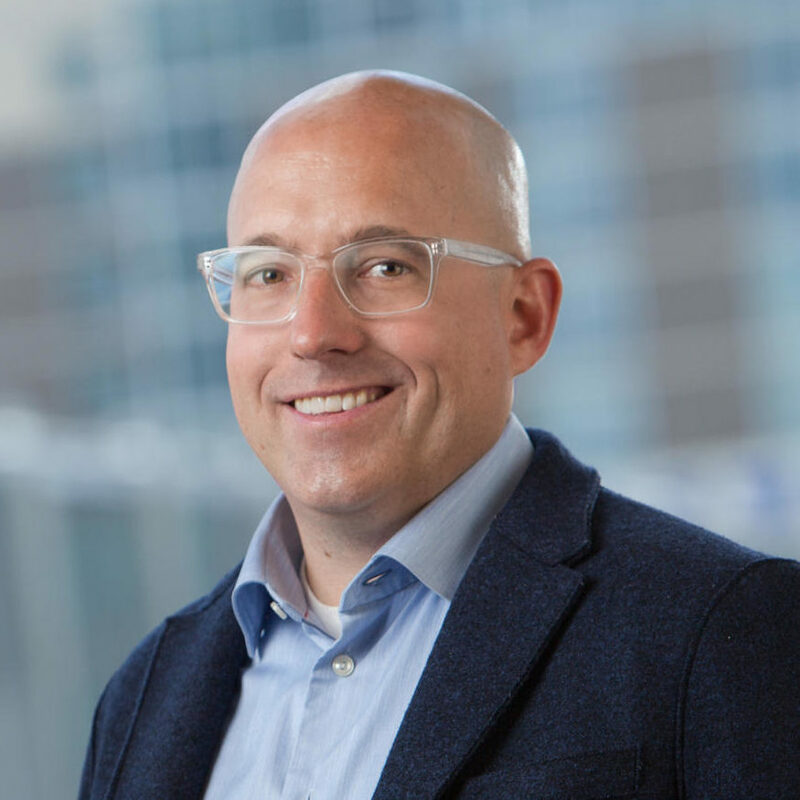 “Instead of going head-to-head with other online brokerages, we are meeting the needs of people who are not in the market for life insurance,” says Hanley. Tomorrow has a partnership with nine different life insurance carriers so that users can pick the best option for themselves. “It only takes three minutes to apply for life insurance through the app because we leverage the information we have from your will,” he says. The median age of Tomorrow’s users is 36, though they tend to range in age from 25 to 45. While many users turn to the app because they have a child or spouse they want to look after, others join for less obvious reasons – wanting to ensure a guardian for their pet or protecting a boyfriend or girlfriend in the event that something happens to them. What’s more, Tomorrow also has a built-in social feature that encourages users to invite family members and friends to join, making it easy to communicate with others directly about topics that otherwise go largely un-discussed. Users can print their will directly from their phone or send it to family or others to review. “We wanted to make it completely visual and controllable in the palm of your hand,” says Hanley. Token Transit is a mobile app to quickly and easily pay for public transportation.